Capsule Hotel & Sauna is in the center of Soi Bangla, Bangla Mall. We are located at the Mall's Basement. It takes about 35 minutes from Phuket Airport. Just 2 minutes to Jungcylon, Patong Beach, Night Clubs and Various Restaurant. 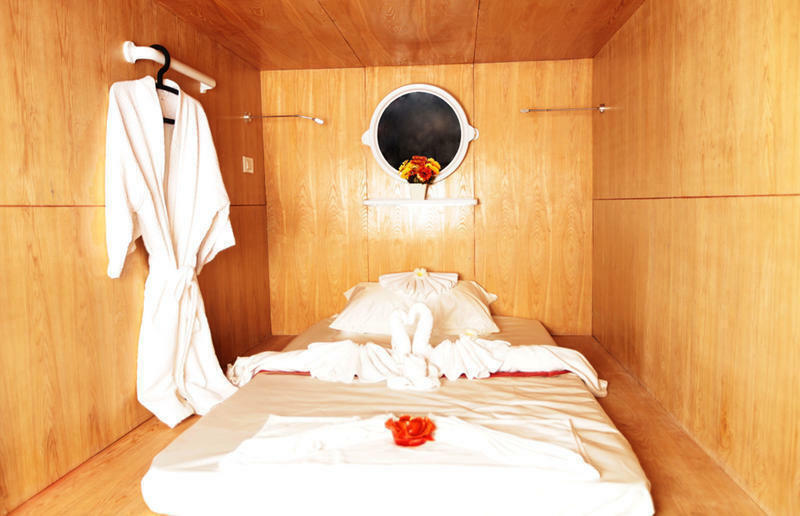 Capsule Hotel & Sauna is the First Capsule Hotel in Thailand. Located in the heart of Patong Beach, Bangla Road which is the most busiest tourist spot in Phuket. Everything is just one step away from our hotel, Night Life, Shopping, Beach and more. Free Sauna & Free WiFi! Free luggage keeping service! Finland Sauna and Steam room- all free! Best quality linen with natural latex mattress. Free Towel and Free Sauna Uniform. Restaurant & Bar in side, ATM & CVS is just in front of the entrance. We are located in the middle of Soi Bangla, Patong. We are located at the basement of Bangla Mall. It takes about 35 minutes from Phuket Airport. Just 2 minutes to Jungcylon Shopping Centre, Patong Beach, Night Clubs and Various Restaurants.